SKU: V28-MOBBLUB201CB Features: Full motion articulating tablet desktop mount frees your hand from holding the devices and maximizing the conveniences while reading articles or watching videos. Retractable holding bracket expands up to 8.2Â¡Â± with side openings allows easy deviceinstalling/removing and cable connection. 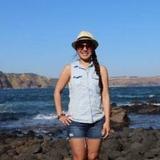 Fits most of screen sizes of tablet devices from 7Â¡Â± to 12Â¡Â±, including Apple iPad, iPad Mini, iPad Air and Samsung Tab series. Supports multi- direction 360Â¡Ã£ rotate, swivel, and tilt for the best ergonomic viewing position. Articulating aluminum arm allows up to 13Â¡Â± _exible height adjustment. Includes both c-clamp and heavy-duty suction cup for easy and secure installation onto most surfaces without drilling. Convenient c-clamp knob accessible from the top for easy setup. On-board cable management clips keep power cord neat and organized. Protective paddings fully integrated in holder and clamp to prevent device from scratching, Falling or slipping. whole stand made out of Aluminium, it is very light and strong. Specifications: Holder open range : 4.7Â¡Â± ~8.2Â¡Â± Loading weight capacity : <= 2.20 lbs C-Clamp open range : 0.27" ~1.49" Full height (from base to center of holder) : 18Â¡Â± Material: Aluminium Dimension: 12 x 12 x 29.5 cm Weight: 0.5KG Package Contents: 1 x 2-In-1 Full Motion Easy-Adjust Universal Tablet Mount 1 x C-clamp 1 x Suction Cup 1 x 3-in-1 allen key 1 x Wire clip (x4) 1 x Installation Guide Note **Item will be dispatched within 3-4 working days after full payment is received. 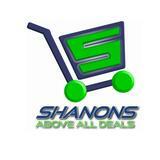 shanons above all deals is working with three couriers to provide the most efficient delivery service with the most reasonable price and quickest service.